The governance, management and leadership of Scotland’s health and social care services will be scrutinised at a major new conference in May. The Quality Governance Collaborative’s inaugural one-day conference - Quality Governance in Health & Social Care: The New Agenda - will explore the impact of quality governance on health and social care provision, from a Scottish, UK and global perspective, considering its impact on the delivery of high-quality patient care. 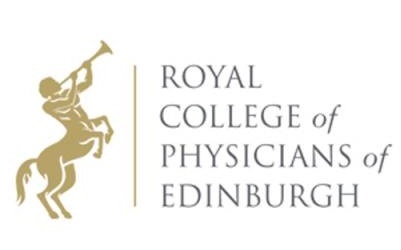 The Quality Governance Collaborative (QGC) is a new initiative created by the Royal College of Physicians of Edinburgh, with the aim of leading and improving governance across different systems. “The need for quality governance across health and social care has never been greater. As delivery becomes ever more complex, the problems that can result from poor governance systems are severe. The conference will hear from a number of different perspectives, including the patient view which will be delivered by patient safety advocate Susanna Stanford and the clinical view from Dr Marion Slater (who sits on the College’s Council). Headlining the morning session will be Sir Alan Langlands from the University of Leeds who, as a former chief executive of the NHS in England has a wealth of experience to share with delegates, and Dr John Bullivant, chair of the Good Governance Institute will run a workshop on succession planning and health and care professionals. The Scottish perspective will come from former NHSScotland chief executive Paul Gray and chair of NHS Greater Glasgow & Clyde John Brown CBE, who will jointly run a workshop looking at leadership and governance in practice. John Brown recently authored NHSScotland’s Blueprint for Good Governance. The afternoon session will see the QGC launch a new international governance network of networks, which it is working alongside the WHO to create. Dr Ihor Perehinets, the WHO’s programme director for health systems and public health, and Dr Marius Buiting, a leading light in the medico-legal field in the Netherlands, will be speaking. The QGC is an independent, neutral, non-governmental programme committed to a new integrated approach to quality governance in healthcare. It brings together multi-professional groups as part of national and international collaborations with the aim of highlighting issues and improving the practice of quality governance, particularly but not exclusively, in healthcare. “The QGC will work closely with governments, royal colleges, board and trust directors and other healthcare professionals and individuals involved in the delivery of patient care and public involvement. “Healthcare governance is both complex and dynamic. The need for sound, proven and respected governance structures – with a patient safety focus - is essential, in line with the Academy of Royal Colleges Learning from the Serious Failings in Care report. The conference is taking place at the Royal College of Physicians of Edinburgh in Queen Street, Edinburgh, on 10th May. Healthandcare.scot is the College’s media partner for the conference. Follow us on twitter for interviews, updates and more. For further details and to book your place, please go to events.rcpe.ac.uk.